From the creators of Streetfood Tycoon comes a brand new time management sim, where your goal is to become the finest Chef and richest Tycoon! 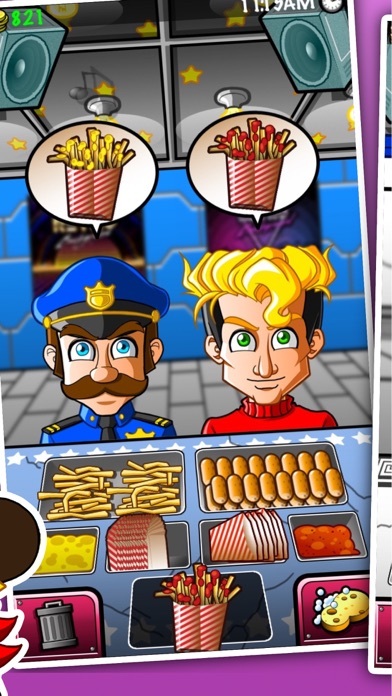 Serve burgers, fries and other popular food to your crazy customers. Upgrade your restaurant and unlock various food items. Travel the world and put up a franchise from one location to another. Spend your earnings wisely and prioritize your upgrades. 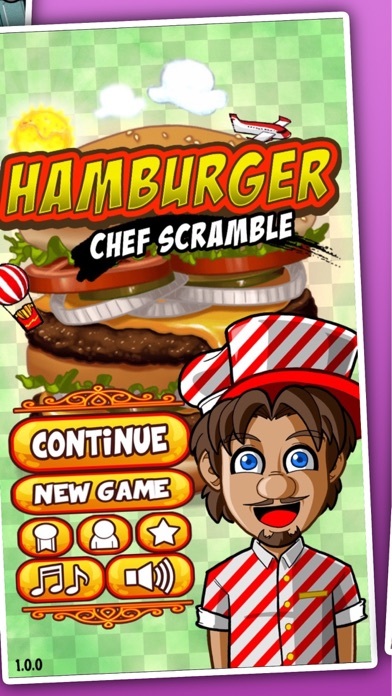 Hamburger Chef Scramble lets you experience how it feels to manage your own restaurant business. Key Features: - Unlock 4 different locations around the globe - Unlock food items and restaurant upgrades - Serve food to wacky and crazy customers - Serve from different locations - Sell refreshments too! 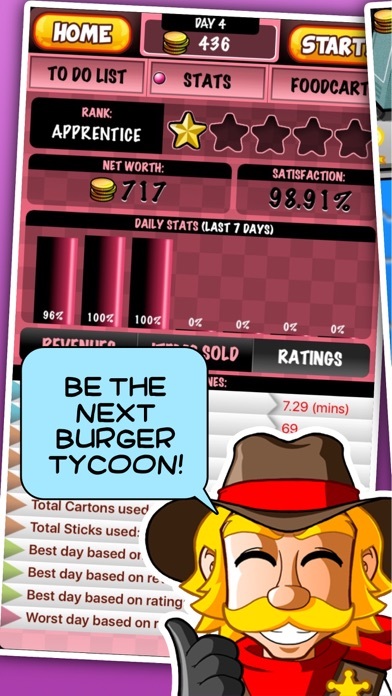 - Unlock achievements and compete with your other Tycoon friends - Guaranteed fun for the entire family! 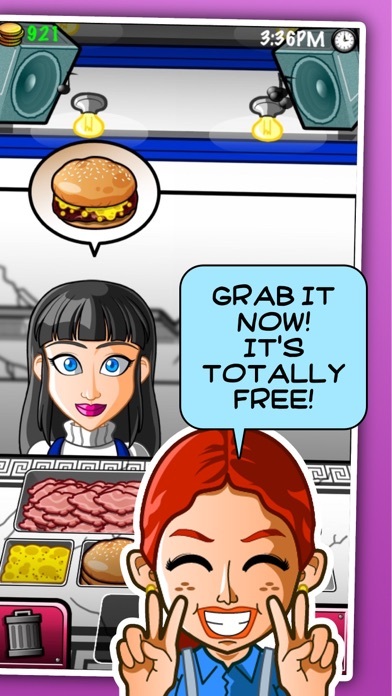 Grab Hamburger Chef Scramble now! It's TOTALLY FREE! Please fix this game app is not working properly! It keeps saying something about direct error. App Forge can you please fix hamburger chef and bakery tycoon this doesn’t make any sense I’ve been waiting for months for you guys to correct the issues with these games and you guys haven’t did nothing yet! This is beginning to be very annoying! And by the way when it come to the food menu label the food properly! you have to do right by these games if you want more people to download the games! EDIT: So I tried restarting a few times. Got it to work starting in SouthEast Asia, PiggyBank, kept the tutorial. That worked. Not sure if it was the location or skipping the tutorial, but the Starting Funds method doesn't seem to matter. Moved up to 3 ⭐️s instead of 2, because it's got all the goodness I enjoyed from the earlier games (down to the same awkward voice acting, haha), but that's a pretty major error still. There seems to be a bug with starting a new game. I took a bank loan, bought the requisites, and it gives 'failed to execute new (params) sim' director type error. Using iOS 9.3.5 on an iPod touch 5th gen, started in Europe, no tutorial, if it matters. It's probably just a redux of the first two, but I'd still like to play this game!! I enjoyed the first two so much!! When I press start to begin the game I get an error which says: director error failed to execute new params function on sim. Please fix this I am a fan of your apps/games! I would love to try this game. App keeps crashing with update that is supposed to prevent crashing!